A Postpartum Doula provides non- medical, mother focused support following the birth of a baby. This support typically includes emotional and practical support that will help ease a woman’s transition to mothering. The doula serves the mother with reverence by holding the postpartum space and nurturing mama-baby and family as they adjust to a new normal. A Postpartum Doula assists the new mother physically, offering non-medical solutions for normal postpartum recovery, some doulas even make their own herbal remedies and use essential oils for healing. A Postpartum Doula supports mama-baby feeding, sharing her knowledge of breastfeeding and other methods of feeding. She can also connect you to other lactation services such as support groups and lactation professionals. A Postpartum Doula mothers the new mother, keeping the home while mama-baby bond and learn the dance of breastfeeding. She may provide household tasks such as light cleaning, assistance preparing a safe space for baby, grocery shopping, meal prep, mama and baby’s laundry. A Postpartum Doula also supports mama emotionally as she processes her birth and adjusts to the changes as she transforms into a confident mother. This can include talking about mama’s birth story (many times!) or just being a listening ear for her to share her triumphs, joys, challenges and disappointments. This could also be watching baby so mama can nap, shower or do something that is nurturing just for her, or watching older children to mama-baby can have some quiet bonding time. A Postpartum Doula may also accompany mama-baby as they make their first trips out of the home to doctor’s appointments, running errands or just taking a walk around the block. A Postpartum Doula is always listening and observing. She is there holding mama’s hand as she takes her first steps into motherhood. She is always educating, supporting, praising, empowering. She is also a great source of referral. She knows what a normal postpartum mama and baby look like and knows when to refer mama to the appropriate resources if there are signs of postpartum depression. 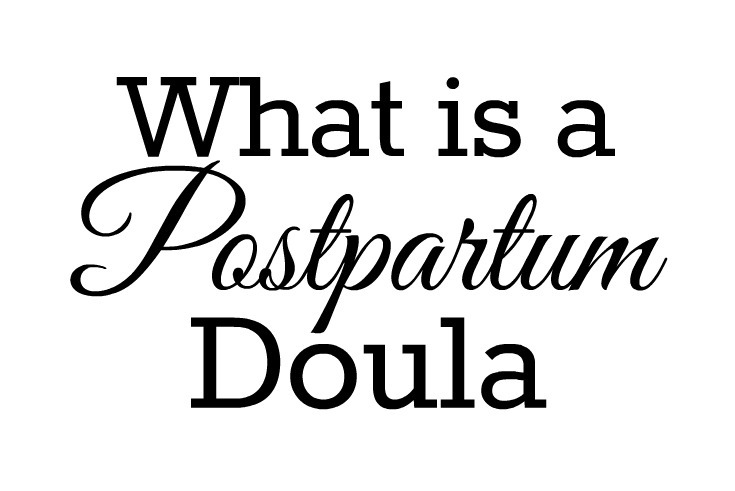 Of course, this is only a basic description of a what a postpartum doula does. Each woman who chooses to serve women in this capacity brings her own unique talents to this nurturing profession. One this is for sure, the doula is there to support and empower the mother in order to make her matrescence as blissful as possible.